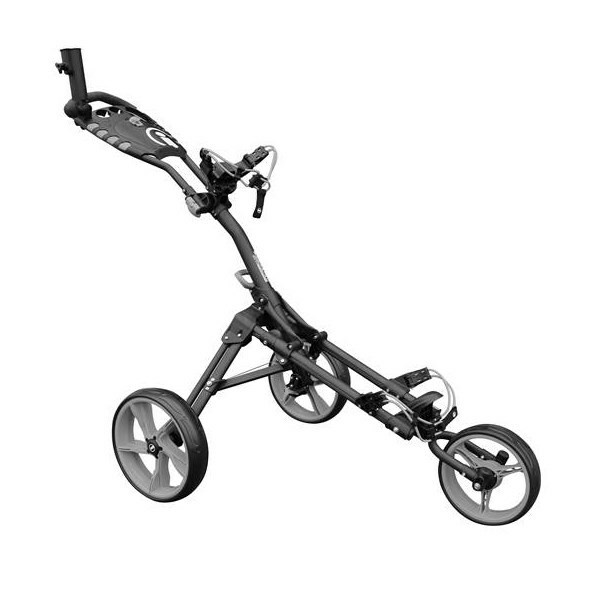 Nice quality item very smooth and light easy to assemble and transport i have a audi a4 saloon and can get this and clubs in the boot easily looks great too very happy with it so far. The iCart One 3 Wheel One Click push trolley for 2017 features an innovative and intuitive technology that allows the trolley to fold and unfold in one simple click of a button. 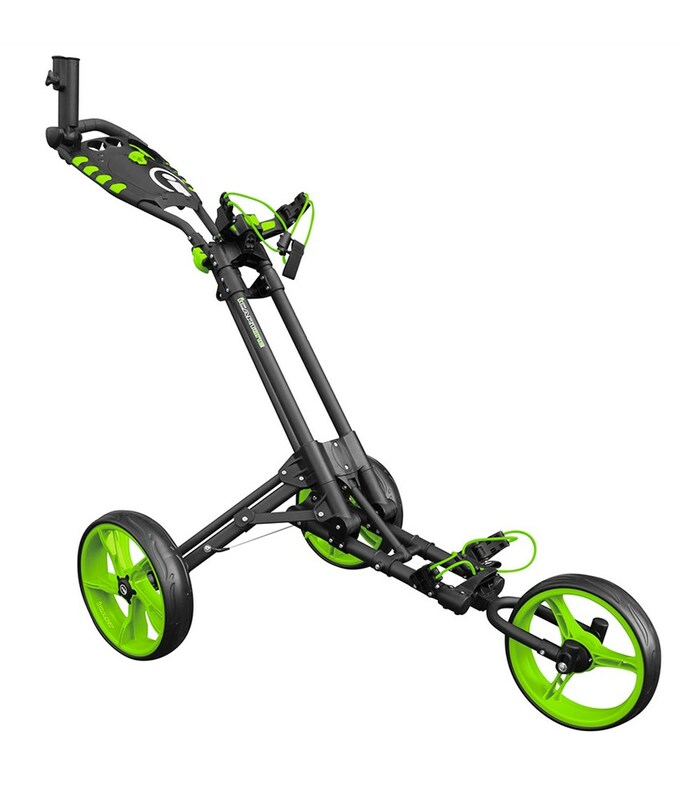 iCarts Quick-Lok folding system allows the trolley to fold in a compact size to save space when storing after a round of golf. 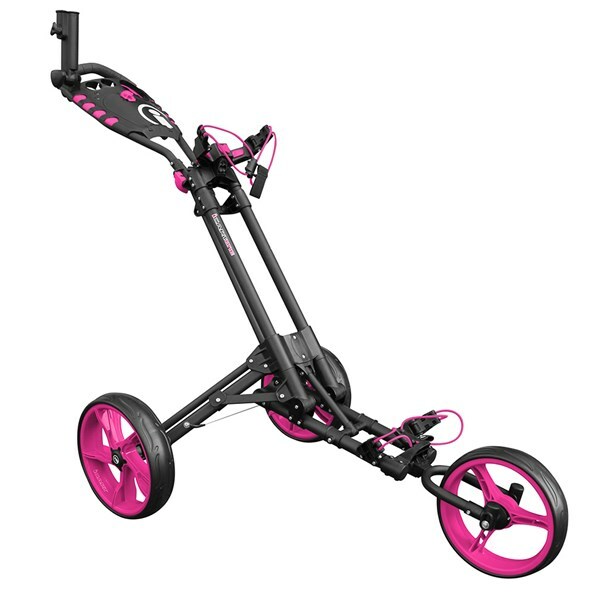 The height adjustable handle design will provides a tailored height to suit you and features a multi-function accessory tray that will hold all your smaller accessories. 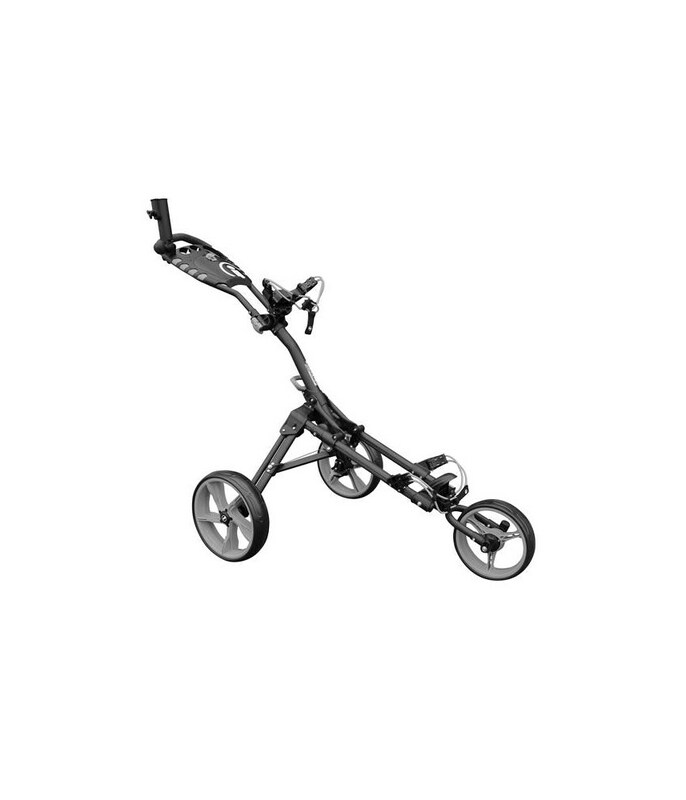 The handle features a soft touch padding and is suitable for right and left handers to maneuver easily. iCart have made the structure lightweight and strong to withstand the miles and miles it will be pushed every year. 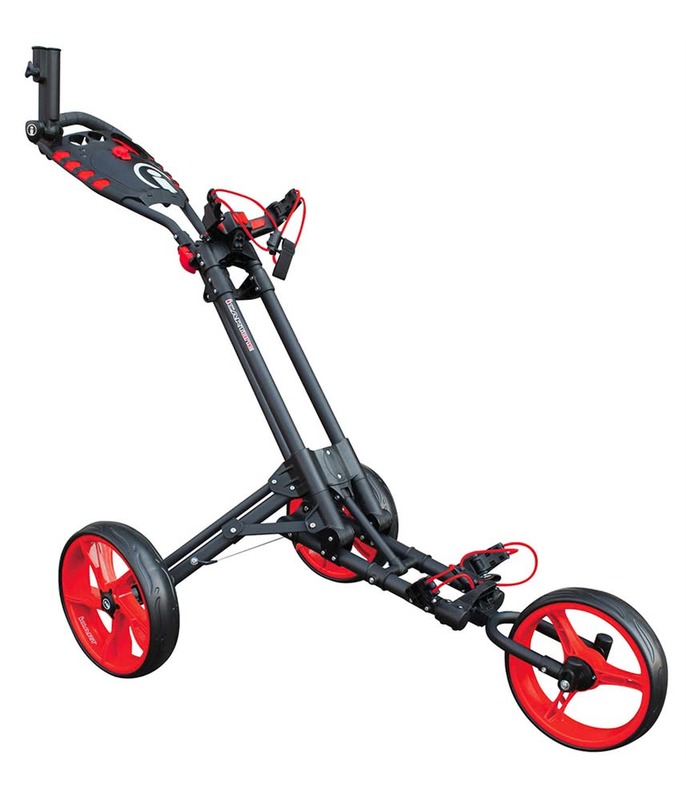 The wide wheeled, three-wheel design delivers incredible roll and will effortlessly glide over all types of surfaces and terrain. You are able to park it on any incline or side lie as the conveniently placed foot brake will hold the trolley in place. 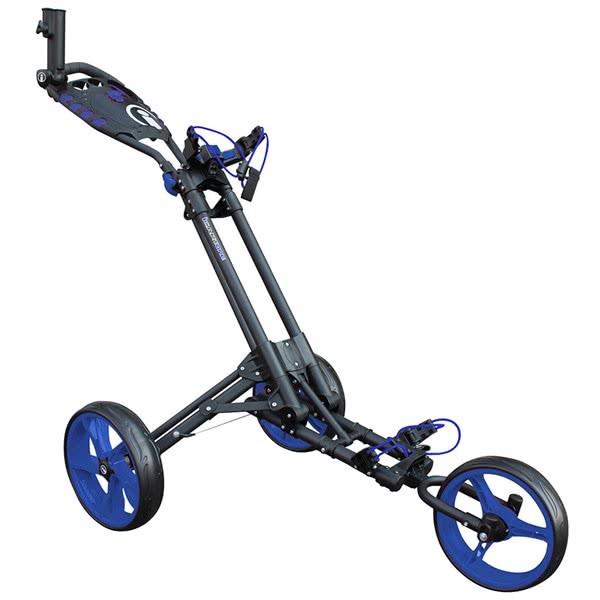 An versatile, adjustable bracket design will allow you to place a cart or stand bag on the bag and it will fit securely.